I have had a long pause in my blog posts recently, and that is because I was really busy with wedding planning and working on my PhD dissertation. 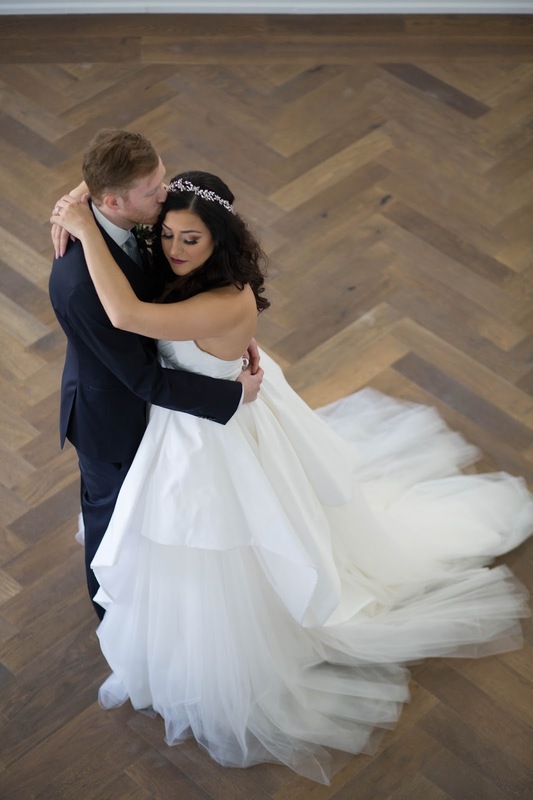 I got married on September 29th, and it was the most perfect day ever!! All of the hard work and planning was totally worth it! [Although I will give a word of warning if trying to plan your wedding while in grad school… just don’t]. 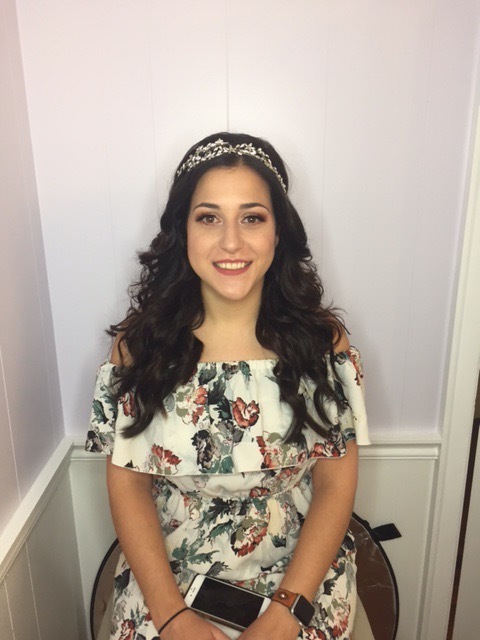 Now that the wedding is over, I thought I would share my beauty process from the big day! Finding good hair stylists, makeup artists, and the perfect accessories was tough, but definitely worth the effort! 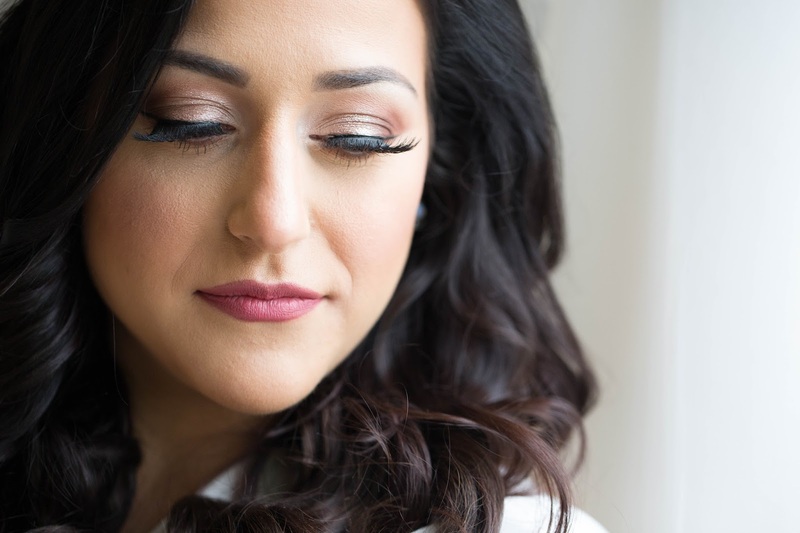 I decided to go with Fancy Face Inc. as my glam squad… and I’m so glad I did. Their work is just impeccable! If you are getting married and need some inspo, check out their instagram account here. They are a full-service mobile beauty squad based in both Toronto and Vancouver. 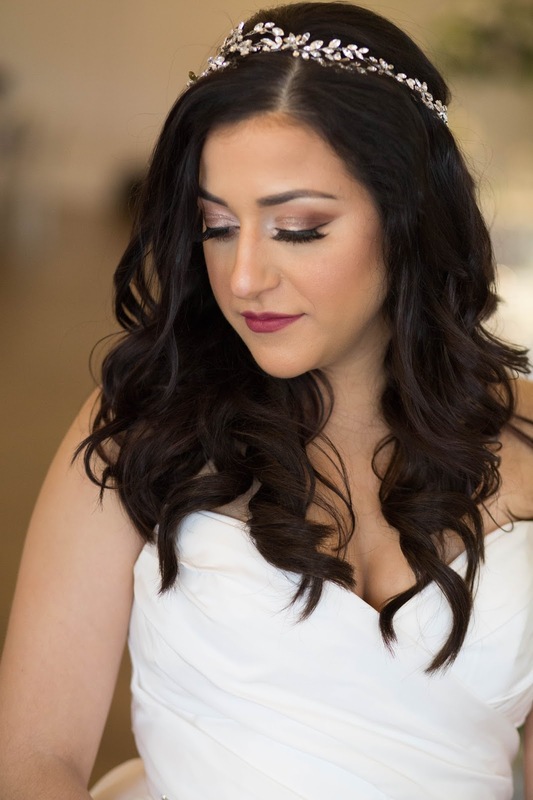 They will come to you to beautify you and your sparkle squad on your big day, bringing a team of talented hair and makeup artists to make sure you and your bridesmaids are literally flawless! I am SO happy with their work! Since our ceremony and reception were at the same venue, they came to the venue to get us ready. This was amazing because we didn’t have to incorporate travel time into the itinerary. As soon as my hair and makeup were finished, I could start with pictures and getting dressed! I went for a makeup trial in May before booking to make sure I wanted to go with them. I am very particular about my makeup and wanted to see how the look would turn out. I grew up as a competitive dancer, having to wear stage makeup and false lashes from a young age. Thats when my fascination (obsession) with makeup began. For the most important day of my life, I had to make sure that my makeup would be flawless (and stay flawless)! My trial was with Brittany Gray, the owner of Fancy Face. She is sweet, gorgeous, and super talented! For inspiration, I showed her a picture of Jaclyn Hill with a golden-bronze eye and she created actual magic. As you can see below, the glow-up is real! I decided to book with her immediately. 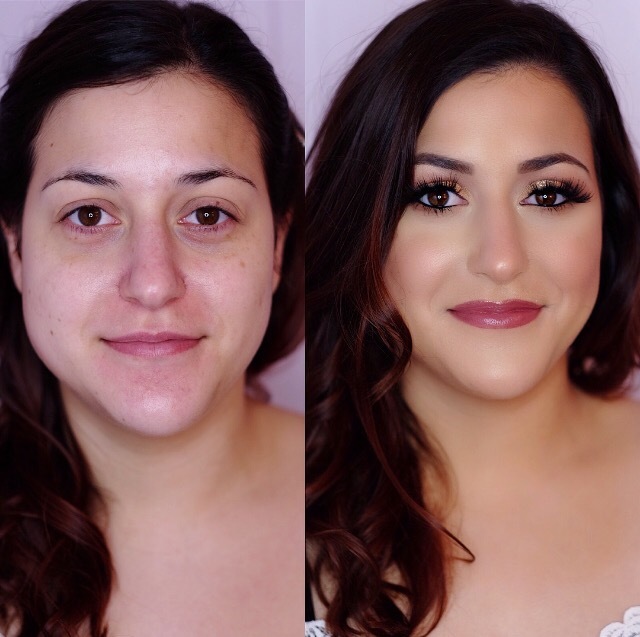 Pre- and Post- Wedding Trial Glam. As you can see, she is a miracle worker. The next task was to decide on my hair for the big day. One thing I knew was that I did not, under any circumstances, want a veil. In lieu of a veil, I had pictured a sparkly, vine-y, halo-type thing, and was blown away to find a piece that was my EXACT vision. My headpiece was the “Sage” by Untamed Petals and I got it at Sash & Bustle boutique in Toronto. The original design of this piece is a duet (can be worn in the hair or as a sash), so the jewelled part only went about 2/3 of the way around the head and then fastened with a ribbon. 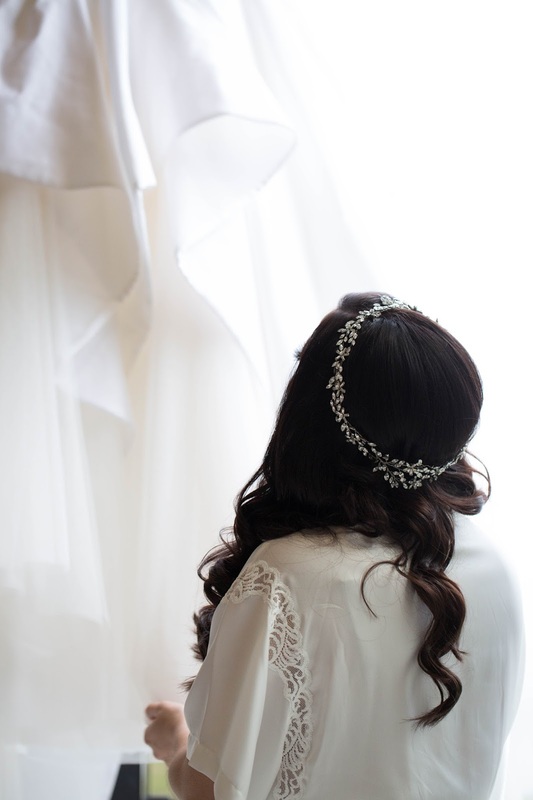 I really wanted it to be fully enclosed (think flower crown made of jewels) and luckily they were able to custom order a lengthened version for me that would wrap all the way around. I feel more comfortable with my hair down so I decided to go with big, loose, romantic curls. I have pretty fine hair, so I decided to wear extensions for added volume and oomph. I needed big hair to match my big dress! I wore clip-in extensions from Locks & Mane in the shade Dark Chocolate (they matched perfectly!). I am SO happy with how this turned out. 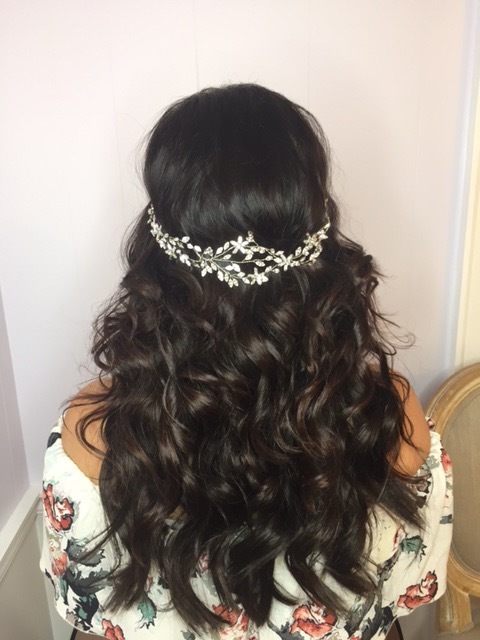 I went back to Fancy Face for a hair trial with Shannon right before my first dress fitting. She was wonderful! 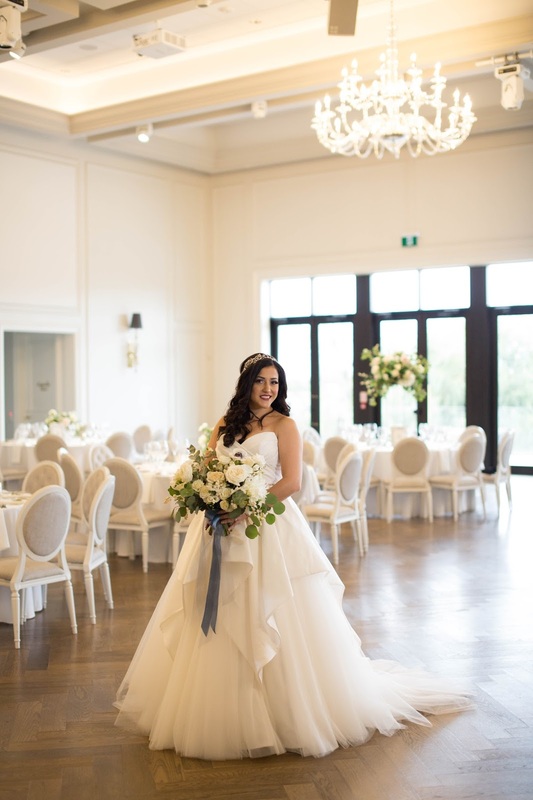 I would HIGHLY RECOMMEND arranging hair & makeup trials on the same day as either your dress fitting(s) or days that you are going dress shopping. It allows you to get a full vision of your look for the day, so you are able to see all the pieces come together and know if you want to change anything. Maybe you actually want your hair up after trying it on with your dress! Its so important to see it all before the big day so there aren’t any surprises! Also, if you plan on wearing hair extensions or lashes, and don’t normally do so, it is important to have these applied at your trials and wear them for a whole day. Both of these things can feel so heavy if you’re not used to wearing them! On the day of my wedding, Fancy Face brought 5 artists to beautify my 6 bridesmaids, Mom & Mother in Law, and myself. 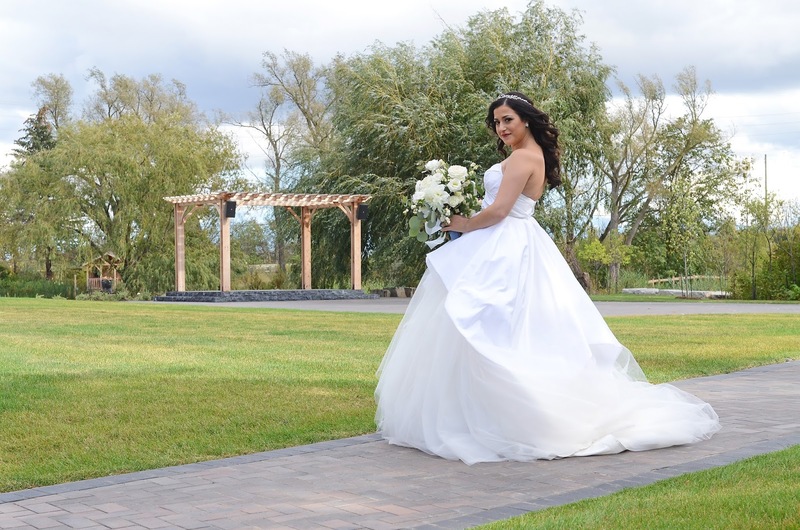 They were professional, punctual, and make the whole experience relaxing and stress-free! Although I loved how my makeup turned out at the trial, I changed up the look a bit on my actual wedding day. I asked for more of a rose-gold eye, and I’m so happy with how it turned out. We also went with a different type of lash. Since I am a beauty junkie, I was trying to keep tabs on what Brittany was using, although my eyes were closed for most of it! I know she used YSL Touche Eclat foundation, Tarte Shape Tape concealer, Tartelette In Bloom shadow palette, Dose of Colours Eyedeal Duo in Shell, and YSL Tatouage Couture Lip in 05 Rosewood Gang. I am obsessed with the YSL lipstick, it held up through many kisses! The most important thing to remember when choosing your Bridal Beauty look is that there is no right or wrong way to style your big day! All that matters is that you feel confident and beautiful! Wedding planning can be extremely overwhelming! If you have any questions, please feel free to ask me! I would be happy to help! I’d also love to know about your wedding experience below! Previous Post Sephora VIB Rouge Sale 2017 Wish List! You look INCREDIBLE!!!! Your makeup, hair.. THE DRESS! Wow!!! Thank you so much, Chelle! It was an absolutely perfect day and I couldn't be happier with how everything turned out!